What if a homeowner could have the protection at a more affordable price? 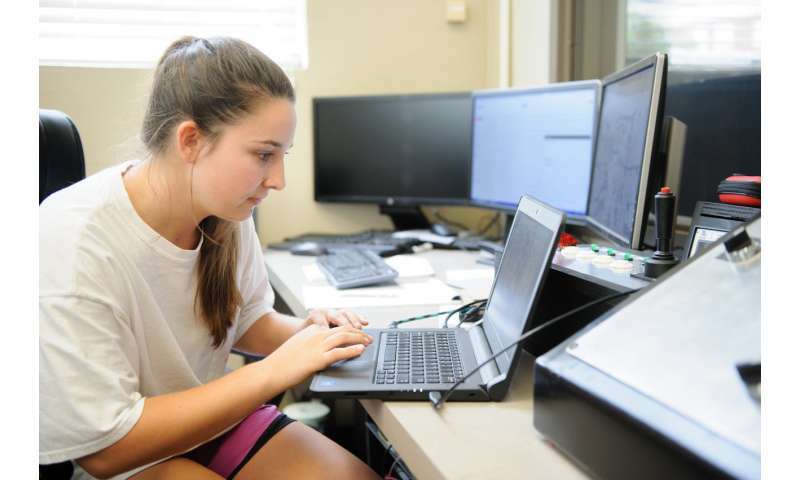 Answering that question is the goal of research inside an innovative University of Alabama lab designed to help the construction and insurance industries. Engineering researchers are testing walls of storm shelters designed to the standards developed by the Federal Emergency Management Agency, or FEMA, to see how they withstand debris strikes. For the test, the researchers are using debris cannons—tubes that use compressed air to launch debris, in this case wooden two-by-fours, at 100 mph. "Not many places have the ability to do that," said Dr. Wei Song, UA assistant professor of civil, construction and environmental engineering. Song's graduate student, Blair Butler, a native of Doylestown, Pennsylvania, who also earned her bachelor's degree in civil engineering from UA, is leading the study of the shelter walls to see the behavior of the walls during an impact and tweaking the design and materials to examine if changes can improve performance. "Once we improve our understanding, maybe we can make a contribution toward the fundamental design of these types of structures," Song said. For the project, UA partnered with the local chapter of Habitat for Humanity, which uses donations and mostly volunteers to build affordable homes for people in need. The local chapter has built a storm shelter into every home since a tornado outbreak struck the state, and it wants to learn if there are more cost-effective ways to build them. "It's a considerable expense to incorporate them into a home," said Dr. Michael E. Kreger, the Garry Neil Drummond Endowed Chair in Civil Engineering at UA. "You want to stretch the money as far as you can because, if you can stretch, you can build more homes." Blair said the tests fire the boards at different parts of a shelter wall. Digital imaging techniques, vibration sensors and high-speed cameras capture and measure the deformation in the wall. The team will test different materials and fasteners in the shelter wall to see if costs can be reduced. For instance, perhaps there is another material besides the steel panel behind the wooden wall that will stop debris, Kreger said. 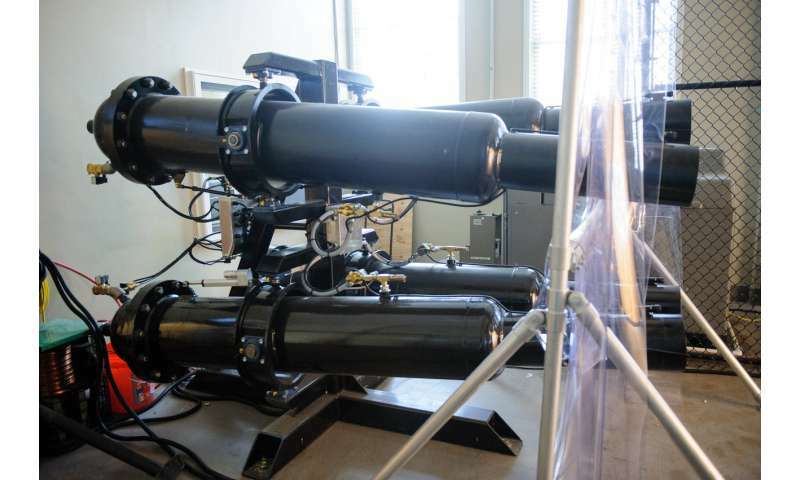 The project and the lab are supported by the Alabama Center for Insurance Information and Research located on the UA campus, and it is a response to damaging natural disasters such as hurricanes and tornadoes, Kreger said. Dr. Lars Powell, executive director of the insurance center, said big storms increase insurance prices for homeowners. "That's a problem that manifests in insurance, but it's really an engineering problem," he said. "You can't just wave a magic wand and make the insurance cost less unless you can make the underlying losses less severe." The debris cannon lab and this project help inform building standards that, in turn, can help lower insurance rates, helping the state's economy be more resilient, Powell said. "Among universities, The University of Alabama is leading edge in terms of the equipment we have to perform these sorts of tests," he said. "That's an important commitment we've made to the problems in the state where the solutions aren't obvious and really the only place you can look is to a research institution."